Most landlords who run a reputable rental business pull credit history on likely candidates after getting over a few pre-screening hurdles. It is always a good idea to know your credit score before getting on the phone with the landlord to answer the question before they ever even ask about it.. Most people don’t know this, but it’s a pretty simple process to get a free credit report three times a year from the three major credit reporting bureaus. The three major credit bureaus are, Experian, Equifax, and TransUnion. Each one of the credit reporting bureaus will allow you to pull one free credit report per year. So if you space out the three different bureaus every four months, then within a one-year cycle, you can get three free credit reports a year. There are also third party websites that will give you a free credit report. I personally have not used these services so I cannot make a good recommendation on any of them. I know that there are out there. You will often see television ads for Credit Karma and some of these other free credit score websites. But I would do a little bit more research before engaging in any of their services. Experian, Equifax, and TransUnion are the three major credit bureaus who can give you the most accurate credit rating. 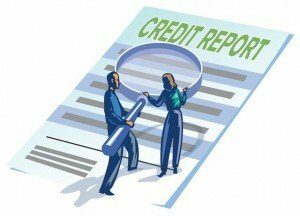 It would be a fantastic idea if you already have your credit report in hand, in you are able to tell the landlord on the phone what your credit score is. It is also a major bonus if you can tell that landlord when you show up to see the apartment, you would be more than happy to supply them with a printed copy of your credit report. This will save the landlord a lot of time an expense and having to do a credit background check on you. By doing this, you make the landlord’s job so much easier. Your goal is to help the landlord reach the decision to rent to you as quickly as possible, and this will absolutely work in your favor. The landlord will truly appreciate the efforts you have taken to know your credit score and will absolutely result in you getting a higher ranking in the probability of getting that apartment.